The grand dame of the Cambodian capital never ceases to sweep visitors away. 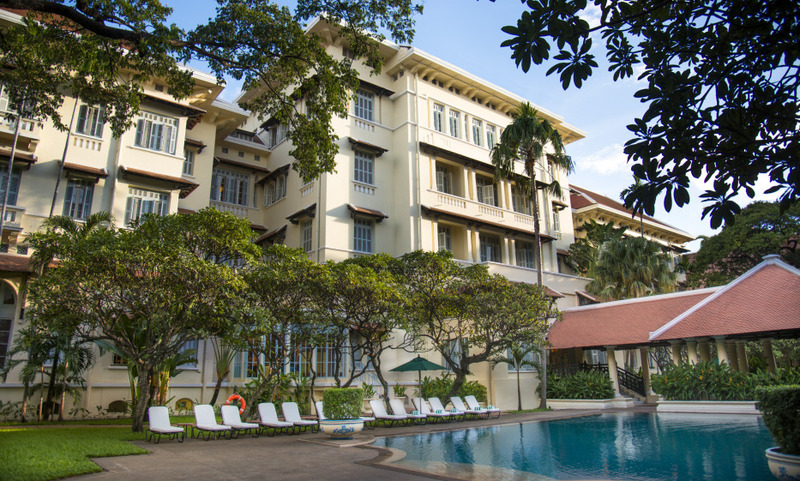 Located in a prestigious district, among embassies and the National Library, the hotel’s a study in heritage glamour: French colonial aesthetics meld with Khmer and Art Deco styles. It’s garnered a stellar array of visitors, from Jackie Kennedy to Charlie Chaplin; the hotel’s walls brim with black-and-white photographs that trace its 89-year-old history. The fantastic atmosphere of an elegant French colonial building. Rooms, suites and apartments are all in colonial style, with wooden floors and overhead fans – recently refurbished. Try the new fleet of black BMW 5 Series for exclusive transfers. Cafe Monivong was more like like 5 star restaurant and we ate most meals here throughout our 7 days.